With summer coming to an end (at least for us), we thought it would be perfect to recap some of our favorite places we traveled to and visited this summer. It was a summer full of many memorable moments and experiences. Sadly, all good things come to an end and it is now time to start school again. But before we start school, we decided to do a week full of blog posts highlighting our travels and adventures of the summer, because we don't want to forget about the summertime just yet! First up, Amsterdam! This city is located in The Netherlands which is a country found in Europe. It is quite small but has a big population for its tiny size. Amsterdam is the capital city, and luckily, we got to experience the joyous hustle and bustle of the unique city. It is well know for its architecture and canals that run all through the city, among other things. We also enjoyed all the art and history of the city by going to the Van Gogh Museum (which houses some of his most famous paintings!) and the Anne Frank House. We have been inspired by Anne Frank's story and World War II in general since we were little kids, so it was a definite highlight of the trip. 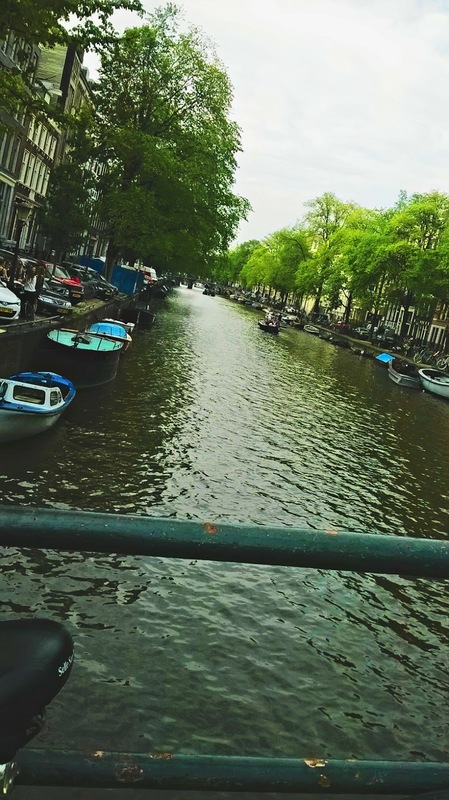 These are a few pictures we took from Amsterdam. 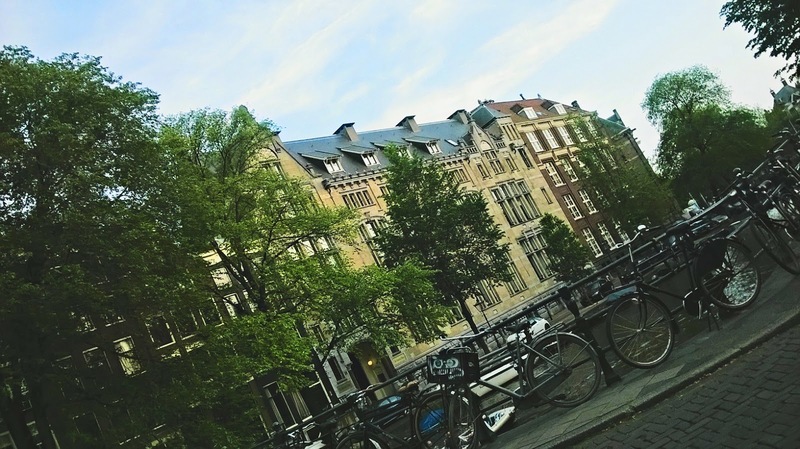 We feel as though the first three accurately capture the architectural style and scenery in Amsterdam. Each separate house is very thin in width and lined up alongside identically small houses on each side so as to prevent overcrowding in The Netherlands. Sometimes only one room can fit on each level of the house. Isn't that crazy? Walking along the streets you also see canals flowing with water and thousands of bikes lined up along them. Did you know? In The Netherlands, biking is the main form of transportation because most people don't have anywhere to put their cars. Again, this whole country is very populated for its small size so some measures must be taken. Bicycle lanes go up and down every street in the entire country. It really is great exercise to have to bike everywhere. 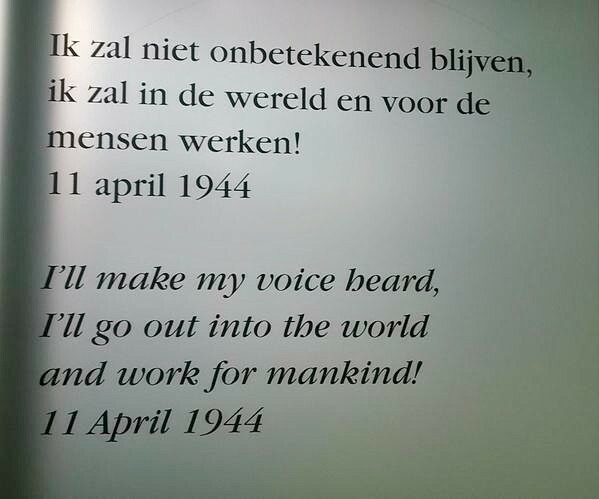 The last picture is one we took from the Anne Frank House/Museum. This is one of Anne Frank's most famous, and in our opinion, most inspiring quotes she ever wrote in her diary. If you enjoy history or love Anne Frank, this museum is a must-see! You get to see the real "annex" where Anne and the rest of her family, along with a few other people, had to hideout in for over two years during World War II. Theirs is a sad but truly inspiring and brave story. 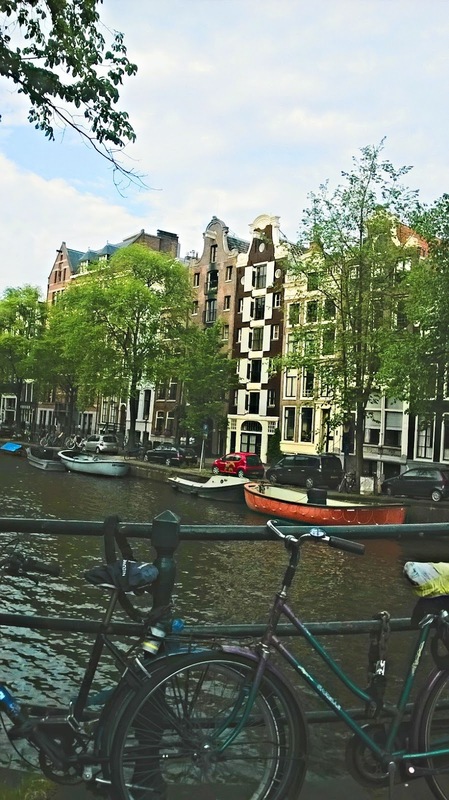 Overall, visiting Amsterdam was one of the greatest experiences of our summer. It is a well-known city that appears on many tourist's bucket lists, and we are sure glad we got to cross it off ours. We are most certainly planning to go back again, though. We won't forget you, Amsterdam! Your pictures look beautiful! I hope to someday visit Amsterdam as well! I love this blog!